Prior to India's tour of Australia, Dhoni was in a woeful form with the bat. His keeping skills were always unmatched, but with the bat, he wouldn't look very convincing. He decided to skip the domestic season and a lot of people were unhappy with this decision. When a player is out of form, the domestic league is where anyone goes. Everyone in the team needs MSD to be back in form. A player's form is measured by the number of runs, wickets or even his fielding skills. With MSD, irrespective of his performance with the bat, his wicket-keeping skills are second to none. He's probably the best wicket keeper in the world today. Because of Dhoni's place in the batting order, he is expected to come out and hit sixes from ball one. This may not be a realistic expectation. Unfortunately, his strike rate too at times is very poor. 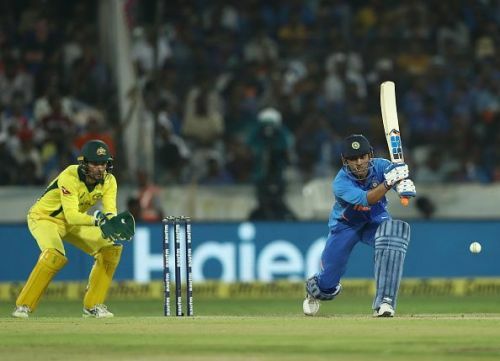 Fortunately for team India, the series down under is where Dhoni recovered his form and even played a great innings in the first ODI yesterday. What Dhoni contributes besides the bat is not measurable. His continuous advice to bowlers be it the spinners or fast bowlers is invaluable. A lot of dismissals are affected in this manner. In the recently concluded ODI series in New Zealand, MSD was seen advising Kuldeep Yadav on a way of getting Trent Boult out and it worked perfectly. There are no quantifiable measures for such inputs. Virat Kohli is one of the best fielders in the Indian team. This means that in the death overs, he will be patrolling the boundaries where any teams needs to places its best fielders. In such cases, it becomes difficult to set fields and communicate with the bowlers. Here again, is where MSD comes in. Not only does he set fields, but he also makes fine adjustments to the positioning of the players in order to stop the boundaries or the sharp singles. The captain too relies on the skills of MSD. Even stand in skipper Rohit Sharma, has been seen leaving the job of setting fields with MSD. Last, but not the least, the use of the DRS i.e. 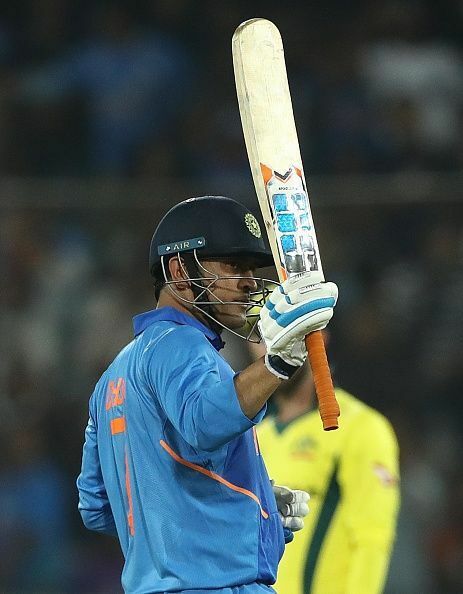 the Dhoni Review System is completely left at the discretion of the man with the gloves. Due to his calm demeanor, he never gets too excited by any appeal. Rarely has MSD suggested the use of a review and got it wrong. These contributions are very valuable for any team. Unfortunately with no metric to measure it, sometimes they are overlooked. The entire Indian team rallies around MSD and even if he may not be at his best with the bat, he surely is a crucial member of the Indian team. If India are to go all the way in the World Cup, these ancillary skills of MSD will be vital.